I realise that being so close to Christmas this recipe might be a bit late for most readers, at least until next year, but I’ve been so busy with all of my baking that this is the first opportunity I’ve had to write it. My Grandma, who turns 90 next year, makes six Christmas fruit cakes every year, one for each of her children, and one for her brother. 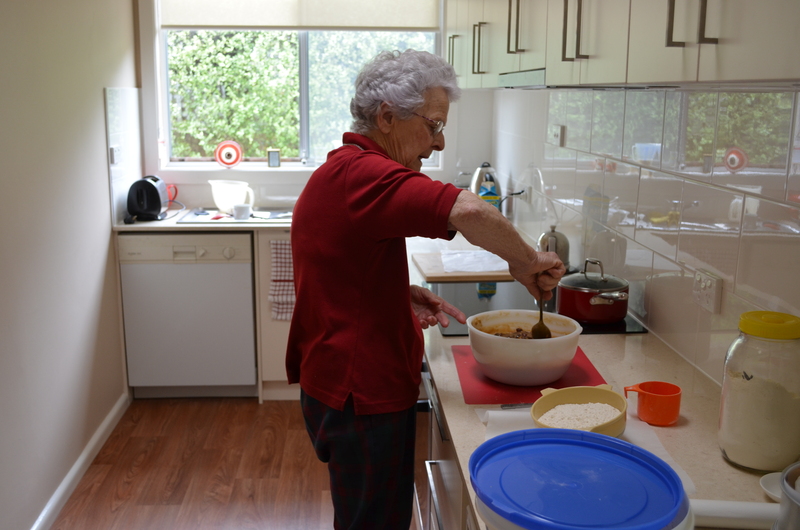 I was lucky to have a morning with her in her snazzy new kitchen a couple of weeks ago. 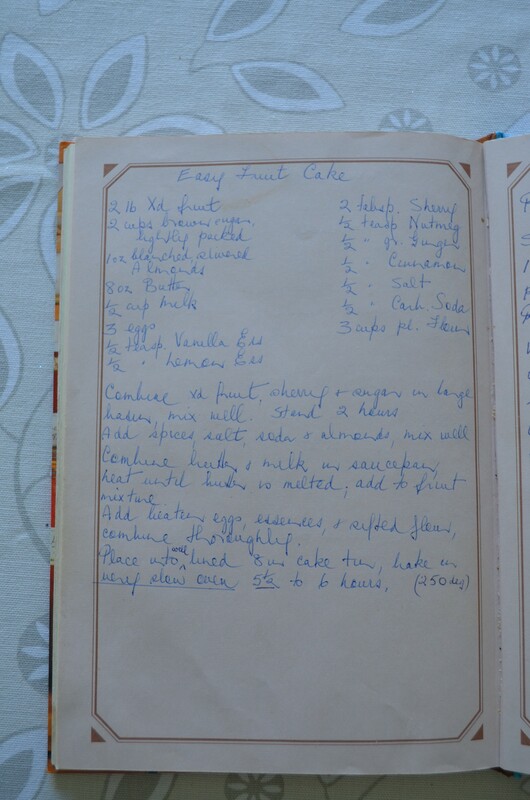 I went to help her make two cakes, and came home with her tried and true recipe and some important tips. This cake is great in that you can put it in the oven and then get stuck into whatever else you need to do that day- it goes in the oven for 5.5 – 6 hours at 120 and cooks nice and slowly, keeping it dense and juicy. I had my first solo attempt on the weekend and my cake turned out well- though it cooked a bit more quickly- in 4.5 hours- as my oven dial is obviously a bit inaccurate on the lower end. 1. Combine mixed fruit, sherry, brandy and brown sugar in a large bowl and mix well. Cover and leave for 2 hours or overnight. 2. 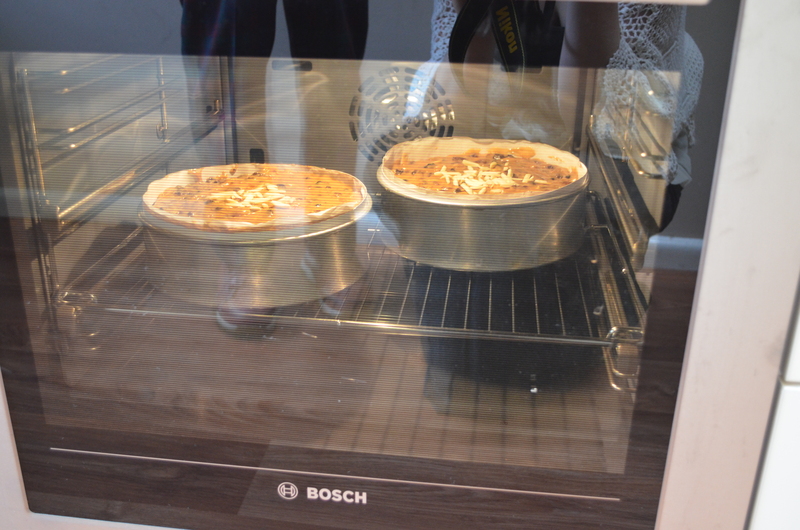 Pre-heat oven to 120ºC and line a deep,20cm wide cake tin with at least two layers. Grandma uses four- white card, brown card, brown paper & baking paper, for the bottom and sides. The expert assures me that this is well worth it “I haven’t had burnt bottom yet!”. Secure with pegs until needed. 3. Uncover soaked fruit and add spices, salt, bicarb soda, and almonds and mix well. 4. Melt butter in a small saucepan over medium-low heat. Remove from heat once melted, add milk and stir to combine. 5. Add warm mixture to fruit and stir well until all combined and sugar has dissolved- you’ll notice the grainy feeling disappear as you stir. 6. Lightly whisk the eggs and essences, and add to the main bowl and mix well. 7. Add sifted flour, one cup at a time, and stir very well to combine, making sure you get all of the flour that might be stuck on the bottom or sides. 8. 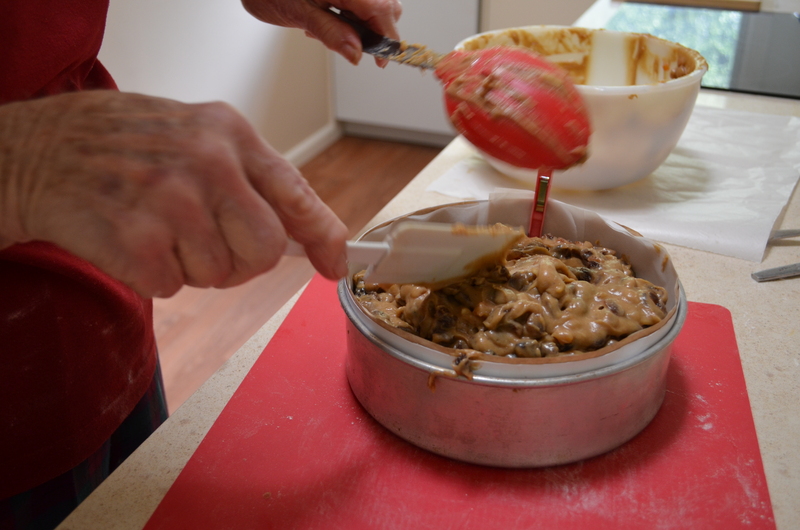 Pour the mixture into your prepared cake tin and drop from 20-30cm height onto bench or hard floor to evenly distribute mixture and get rid of any air bubbles. Top with extra almonds. 9. Place on the middle shelf in your very slow oven. Cook for 5.5-6 hours, checking if it’s cooked with a metal skewer inserted in the centre of the cake. 10. 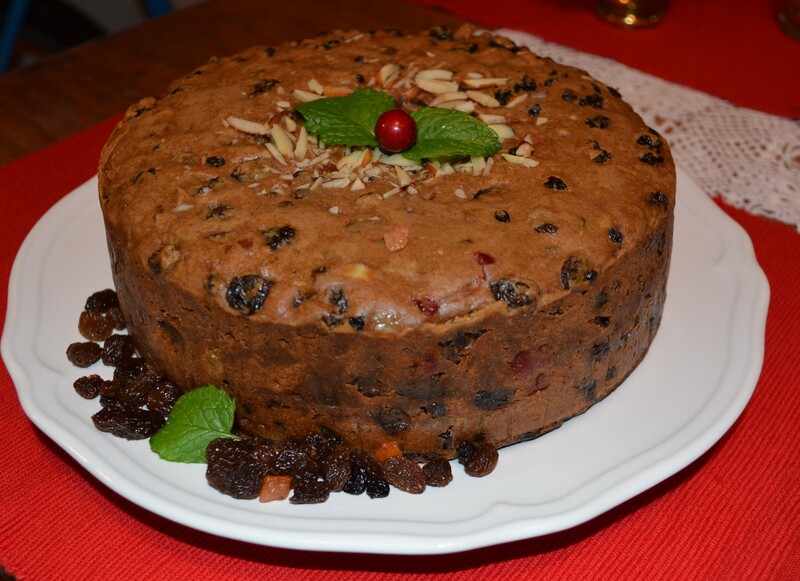 Remove from oven and pour over an additional tablespoon of both brandy and sherry, particularly focusing on the edges of the cake- this will make sure it’s lovely and moist all over. 11. Top with baking paper and, still in tin, wrap in a clean dry tea towel. After about half an hour wrap the bundle a couple of layers of newspaper and set aside until cool. 12. Enjoy- and have a happy Christmas!! My finished cake- destined for Mum’s table.